Two posts in one day! Whaaaat! The fabric was originally two feet wide by about three feet long. I cut it in half lengthwise and sewed the short sides together so that I had one piece that was one foot wide and six feet long. Then I hemmed both six foot sides. Check out my French seam in this picture (it’s the vertical one)! Like I said, the next step was to fold the fabric in half, lengthwise, and sew it down. It now measure 6 inches by 6 feet. 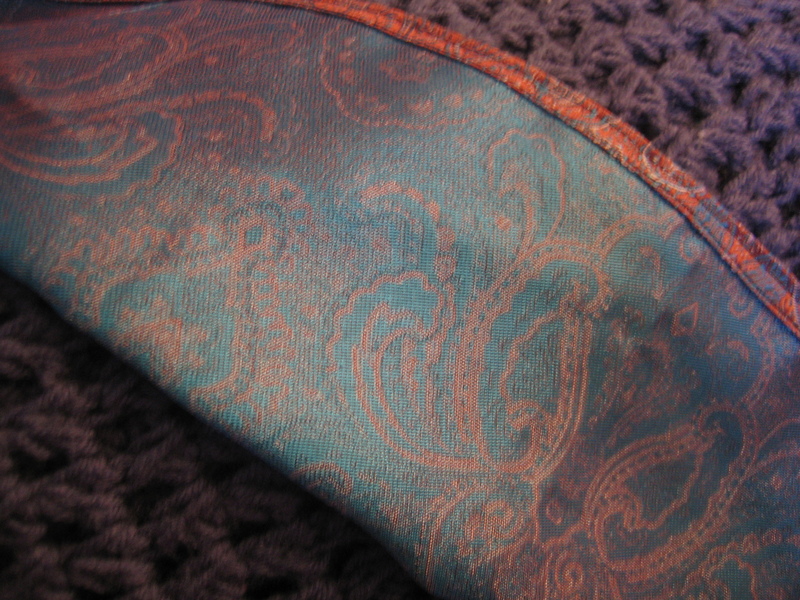 Then I turned the scarf right side out and sewed the final edges together to complete the circle. 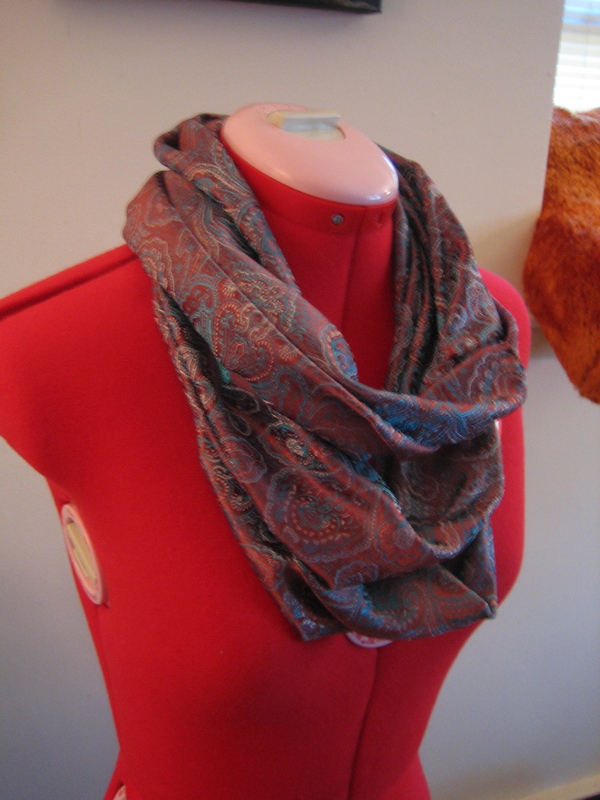 This was the hardest part because, in order to keep the rough edges inside the scarf, they had to be folded in and pinned, but since it was already in a circular shape, there wasn’t a lot of room for my hands, needle or sewing machine. I decided to hand-sew it because I just didn’t see it happening on the machine at all. Here’s Fantasia modeling the finished product! 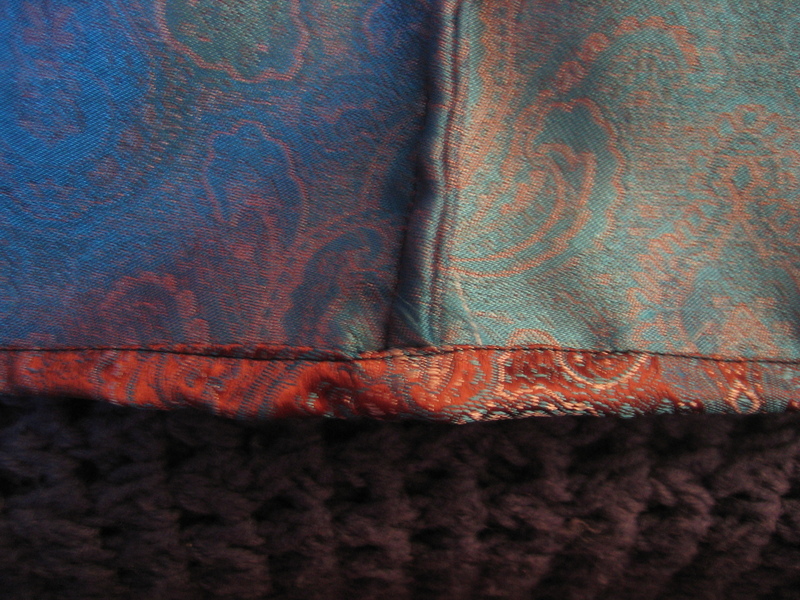 Click on this picture to see the fabric up close! Tada! I’m pretty pleased with this! Going to wear it tonight to my parents’ house! Craft 27 of 52: Complete!